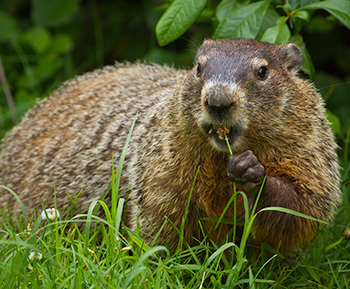 Research indicates that the groundhog population in Cambridge has reached an historic low. The consequences in terms of city planning will likely be devastating. While contemplating this impending disaster, consider the following items up for discussion as we enter the last six weeks of winter. Manager’s Agenda #3. A communication transmitted from Louis A. DePasquale, City Manager, requesting that the City Council vote to accept Massachusetts General Laws Chapter 64N, Section 3 (“G.L.c.64N, §3”), which is the state law that allows municipalities to impose a local excise tax of up to 3% on retail sales of cannabis within the City. Into the General Fund, please. No earmarks. Manager’s Agenda #4. A communication transmitted from Louis A. DePasquale, City Manager, relative to Awaiting Report Item Number 18-104, regarding a report on a list of streets where it is recommended that the speed be reduced to 20 MPH. If you look at the map, this is pretty close to a citywide 20mph speed limit. Addendum: Sign, sign, everywhere a sign; Blockin’ out the scenery, breakin’ my mind; Do this, don’t do that, can’t you read the sign? Apparently there are over 400 streets that will have to get a 20mph sign because, you know, state law. You can’t paint it on the roadway, and you can’t just post the whole city as 20mph with the roads (including numbered highways) with slightly high speed limits being the exception. Logic vs. legislation. Charter Right #2. That the City Manager is requested to direct the appropriate City departments to conduct a formal and professional financial assessment of the additional value created for the owner/petitioner by up-zonings for developments of more than 50,000 square feet. The information will be interesting and useful, but I’m still concerned about the quid-pro-quo aspect of zoning for sale whether it be for cash or subsidized housing units. Addendum: The Mayor amended the Order to also assess the added benefit to the City associated with upzoning. I pointed out to the Mayor after the meeting that similar analysis should accompany downzoning petitions as well. About 20 years ago downzoning was all the rage and this definitely reduced the value of many properties. Some of the upzonings in recent years simply added back the height/density that had been taken away. I have met many members of the Cambridge Police over the years, and Paul Burke ranks among my most favorite. Happy trails, Paul, and I hope to see you around town. Ray worked on my VW Bus once, but he’ll never admit it. Dewey, Cheatem, and Howe. Anyone who has ever dealt with Eversource knows that they rarely do long-term planning – just reaction to developments being built, so let’s just look at this as a way of assisting them. I’m sure they do need the new substation. The only question is where it should be located. Addendum: There were concerns expressed during Public Comment and by some city councillors regarding potential adverse health effects associated with the electromagnetic fields adjacent to major electrical infrastructure such as the one proposed on Fulkerson Street. I wonder if they are aware that there are several high voltage underground transmission lines criss-crossing the city. Should we all run for the exits? Sure, fix up the sidewalks of Central Square and then some. I’m not sure that the "1990 intent" is necessarily the appropriate standard. There have been many reconfigurations of the sidewalks and streets of Central Square over the years and not all have been for the best. The most significant of these (to me) is the setting of a safe passing distance of vulnerable road users, including cyclists. Nobody should get buzzed by a ton or more of flying steel, and that includes people standing on the sides of roadways. I also like the use of red light cameras, but you know all too well this will lead to hours of pointless debate about the evils of surveillance and the inalienable rights of scofflaws. You can use the opportunity to announce the Darwin Awards. The concern expressed in the Order is that if a tenant files a complaint against a landlord it will go on the tenant’s "permanent record" and may make renting more difficult in the future. That’s a perfectly reasonable concern, though I don’t have much sympathy for repeat offenders. Committee Report #1. A communication was received from Paula Crane, Deputy City Clerk, transmitting a report from Councillor Sumbul Siddiqui, Chair of the Economic Development and University Relations Committee, for a public hearing held on Dec 12, 2018 to discuss formation of a city commission dedicated to providing a forum for exploring and addressing the concerns of undergraduate, graduate, post-graduate and other post-high school students in Cambridge. I wish I could have attended this hearing, but I was busy teaching some of the very same people this proposal is about. I do wonder if the students the City Council hears from are really a representative sample. I somehow doubt it. Addendum: Several councillors chimed in on this. I have to say that forming a commission of young people that deliberates only about things of concern to young people seems awfully self-serving. A much better perspective (and one expressed by some councillors) was the importance of aggressive outreach to younger people who might serve on the whole range of City Boards & Commissions – maybe even some new ones. My suggestion is that we create the Board of Fun and charge it with coming up with ways to make Cambridge more fun for people of all ages. I can’t imagine the Planning Board ever generating plans for miniature golf and/or batting cages. It took the Charles River Conservancy to bring the skate park to North Point. Communications & Reports #1. A communication was received from City Clerk Donna P. Lopez, transmitting a memorandum from Councillor Kelley regarding Tree Removal Comments.